Philosopher Friedrich Nietzsche, in Twilight of the Idols (1888) wrote "What does not destroy me, makes me stronger." But modern research by the Naval Health Research Center shows that's not the case. If you've been assaulted, you're twice as likely to suffer from post traumatic stress syndrome. Data on exposures and health outcomes were collected as part of the Millennium Cohort Study. Of 55,000 participants, data was anaylzed from from 5324 (881 women and 4443 men) who were in combat in Iraq and Afghanistan and had no Post-traumatic Stress Syndrome (PTSD) symptoms before they went. As reported in the journal Epidemiology, more than twice as many man and women who had been assaulted prior to entering combat suffered from PTSD afterwards than those who had never been assaulted. In other words, the odds of new-onset PTSD symptoms was more than 2-fold higher in both women and men who reported assault prior to deployment. The returning vet who's become a drunk is a recurring, if sad, stereotype. But until recently there wasn't much data on the problem. Late last year the Naval Health Research Center published a report in the Journal of the American Medical Association that shows the problem is not a myth. Data from the Millennium Cohort Study showed that Reserve and National Guard personnel and younger service members who deploy with reported combat exposures are, in fact, at increased risk of new-onset heavy weekly drinking, binge drinking, and alcohol-related problems. 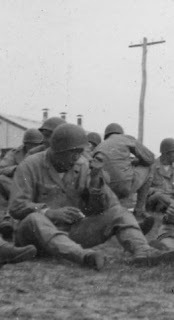 The old black and white war movie admonition to, "smoke if ya got 'em" isn't just a cliche. American Journal of Preventive Medicine conducted by the Naval Health Research Center in San Diego found that among people who had never smoked, almost twice as many service members sent overseas were likely to start smoking than those who stayed home. Among those who used to smoke almost half again as many returned to smoking if they were deployed as those who didn't, and those who saw combat were 1.6 times more likely to start smoking than non-smokers. Those who were deployed for more than 9 months and those who deployed multiple times were more likely to start smoking again too, although it didn't seem to affect how much they smoked. Want To Lose Weight? Go to war! There are probably easier ways to diet, but women who have seen combat in Iraq or Afghanistan are more than twice as likely to lose 10% or more of their body weight than those who were deployed but didn't see combat. Unfortunately, those who saw combat were almost twice as likely to develop an eating disorder. The Naval Health Research Center (NHRC) in San Diego recently published these findings in the American Journal of Epidemiology based on data collected as part of a fascinating long term study called the Millennium Cohort Study. Going overseas didn't seem to stimulate eating disorders in either women or men, but combat did. Another interesting finding from the data is that low mental or physical health status before combat exposure significantly increases the risk of symptoms or diagnosis of post-traumatic stress disorder (PTSD) after deployment.